Nowadays, you can buy pretty much anything online, but picking out the perfect pet is one purchase that’s best made up close and personal. But pet stores provide much more than a matchmaking locale for animals and humans, they also offer every pet accessory you’ll need such as leashes, collars, toys, and more! In our digitally driven economy, it’s good to know that small hometown pet stores do still exist. Here’s where you can find the best 10 pet stores in South Carolina. The owners of Paws & Claws speak dog fluently, and it shows in their selection of healthy foods, beds, collars, bowls, and everything else your dog needs to feel like part of the family. In addition to the goods, this pet shop offers spa-like grooming services and an area where you can wash your own dog for some extra bonding time (which is great since you won’t have to do the cleanup!). Your pet’s needs take center stage at this delightful shop. This family owned and operated store believes that all pets should receive the attention they deserve, which is why they stock everything you can imagine to give your pet a better quality of life. From food for special diets, such as holistic and raw foods, to indoor and outdoor houses and play structures, to grooming and training services, your pet will have everything he or she needs to feel like a star. This bakery is sure to delight all barkers and felines! Here you can choose from a multitude of specialty treats baked to perfection with your canine and cat friends in mind. They also carry gear such as strollers, wearables, bowls, beds, food, toys, organic kitty litter, treat jars, and even their hot-selling Bowser Beer (don’t worry, it’s totally non-alcoholic!). 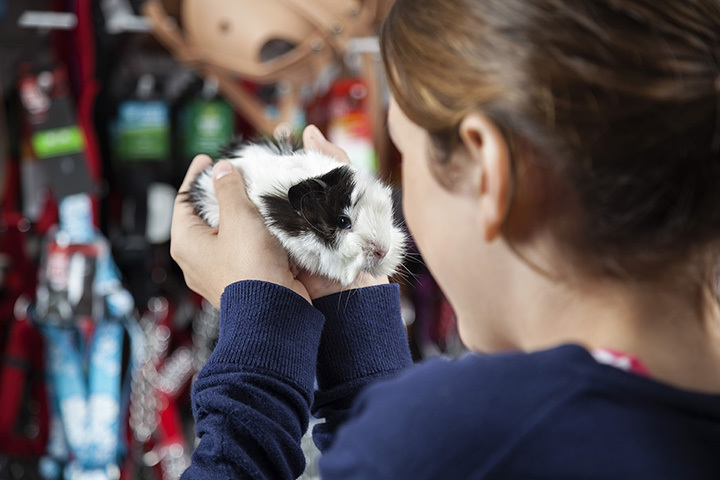 Regardless of what kind of pet you own, from furry to scaly to feather-covered, you’ll find everything you need under this roof. They offer a self-wash station for dogs, plus they offer on-site pet adoptions. And their weekly sales help your pet get what they need, and maybe even something they really want. Something you’ll notice during your visit here is how much the staff truly cares about the well-being of your pet. Whether it’s explaining the differences between dog food options or helping you choose the right supplies for your new aquarium, you’ll feel like each team member here has your pet’s best interest at heart. And since it’s much smaller than nationwide chain pet stores, you get friendly, personalized service every time you visit. Whether you need a regular supplier of quality pet food or need to find a specialty item, Mill Creek Pet Food Center has your answer. They cater to a wide variety of pets, including cats, dogs, fish, reptiles, small mammals, and more. If they don’t have what you need, they can usually get it for you, usually for less than what you expect. It’s all for one, and one four paws at this little pet shop right off the coast of South Carolina. They carry a whopping assortment of dry and canned pet foods, as well as toys and gear for dogs and cats. While you’re there, take advantage of their grooming services and self dog wash station! This is the only shop on the island offering a full gamut of pet services and products, from food and toys to grooming and supplies. And if you’re heading out of town, your furry friends can join All About Pets for a sleepover. Holistic health and wellness isn’t just for us humans. Pets can benefit from natural diets, eco-friendly toys, and specially formulated shampoos. And you’ll find plenty of these things and more here, in addition to healthy pet supplements and staples like harnesses and collars. The name is a bit misleading, as this store offers much more than pet food and supplies. Here you can pick from a variety of pets, including reptiles, rabbits, cats, and saltwater fish. While you’re there, stock up on a range of pet food brands, toys, supplies, and other necessities to keep your pets happy.